John F. “Jack” Weir is the Principal and President of Eastwind Development, LLC. Eastwind, based in Palm Beach Gardens, Florida, was founded in 2007 and focuses on the development of multifamily rental housing in Florida and the Southeast U.S. Eastwind has developed conventional market, independent senior, workforce and affordable rental residential communities. Eastwind has completed five residential rental conununities in Palm Beach County and a total of thirteen multifamily rental developments over the last five years. It presently has one new community under construction in South Florida, and is about to start two new communities in Central Florida. At the present time, Eastwind is primarily focused on the development of conventional market, independent senior and workforce residential communities, and it also has the capability to do mixed-use projects with commercial partners. Prior to starting Eastwind, Weir was Senior Vice President of Creative Choice Homes, Inc., based in Palm Beach Gardens, Florida, from 1994-2007. Mr. Weir served as chief operating officer for the company, was responsible for all strategic initiatives and project financing, and oversaw all acquisition and development activities. He was directly responsible for the financing, closing and development of over 40 multifamily projects involving over 6,000 multifamily units in Florida and five other states, as well as multiple additional closings and financings. He also arranged a joint venture with Lincoln Property Management Company for the management of Creative Choice’s Florida portfolio of approximately 25 affordable and market multifamily properties. He has extensive experience in arranging construction, permanent, mezzanine loan and equity financing from a wide range of banking, insurance and institutional capital sources for conventional properties. On the affordable side, he is well-versed in the intricacies of the housing tax credit program, has extensive experience with multifamily tax-exempt bond and credit enhancement programs, as well as all major federal, state and local public loan programs. Mr. Weir previously founded and led Local Initiatives Managed Assets Corporation (LIMAC), one of the first firms to securitize long-term fixed rate mortgages for multifamily properties. LIMAC was based in New York and was the secondary market affiliate of Local Initiatives Support Corporation (LISC), and is now known as Community Development Trust. Prior to his involvement in housing finance, Mr. Weir was a corporate and securities attorney with the firm of Debevoise and Plimpton in New York City. He is a graduate of Harvard Law School, attended the University of St. Andrews in Scotland on a Rotary Fellowship, and received a B.A. in History from the University of Scranton. He has been admitted to the bar in Florida, New York and New Jersey. 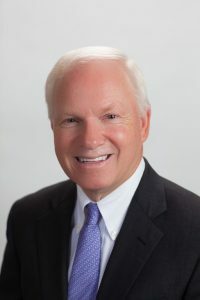 Mr. Weir is presently a member of the Board of Directors of the Housing Leadership Council of Palm Beach County, the Palm Beach County Workforce Housing Steering Committee, and was recently Chairman of the West Palm Beach Affordable Housing Advisory Committee. He was a member of the Board of Directors of the Florida Coalition of Affordable Housing Providers (CAHP) from 2011-2015.